As the internet continues to grow, it has become a default point for individuals to search for services, goods or information on websites. Businesses that wish to remain competitive in the market need to create a multilingual website as it has a great impact on securing high sales and in expanding the client base. Today, the internet is not limited to only English speakers, there are people from various parts of the world who shop online and want the information to be displayed in their own language. It is by creating a multilingual site that you can showcase your company across the globe and automatically capture their attention. There are various CMS platforms that business owners often consider while creating their website and Sitefinity is the most popular among all. The platform helps your business to grow in new markets and remain connected with the customers in their native language with localized digital assets and content in multiple languages. To better engage your audience with multilingual content, Sitefinity has made it easy to manage multilingual sites by automating and simplifying the content translation process. So if you are willing to implement new features to your business website, then I have an update for you! Sitefinity version 8.1 has introduced a translation module that allows you to integrate your site with third party translation services. How does the translation module work? 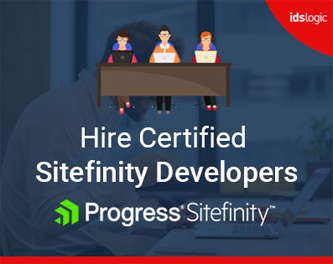 As per Telerik, choosing Sitefinity development as your CMS platform will help you to avail any third party translation service or you can even use the CMS’s default that integrates with Lionbridge Freeway, a translation management portal vial Clay Tablet Technologies. Clay Tablet doesn’t do the content translation, but it assists the translation process and acts as a broker between the translation agencies and the Sitefinity CMS. This helps to reduce the turnaround time by at least 60% as it eliminates the manual process and the requirement to develop custom integrations with different translation agencies. Sitefinity provides an API that helps website developers to create this custom integration easily. You can also export or import content by using the XLIFF file format and this is supported by most translation service providers. Choosing Sitefinity for Multilingual website helps you to simplify the translation management process that eliminates the parts that are time consuming, tedious, inefficient and of course prone to human error. Thus to conclude, I can state that the latest version of Sitefinity combines the flexible technology approach by allowing you to integrate with third party translation vendors and enabling companies to deliver local relevance on a global scale. Thanks for sharing information about powerful CMS.